Bardonecchia is the perfect location for meetings, conferences, incentives and corporate events. Located at 1.300 meters above sea level, Bardonecchia offers a mild temperature in summer and is very close (one hour drive) from the International Airport of Torino Caselle, just 90 km from Turin. 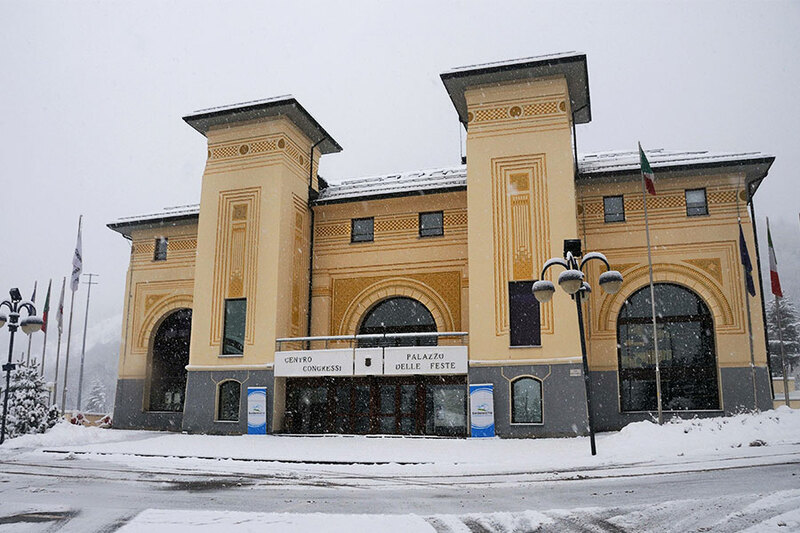 The Congress Center “Palazzo delle Feste” is capable of receiving, in a wonderful Liberty environment, from 10 to 700 people, offering all the latest multimedia equipment. Several accommodation facilities also provide their own multimedia conference rooms. During relaxing time Bardonecchia offers sports activities and entertainment of all kinds. Nature, art, food and wine tours, hiking … help reconcile work and leisure , easing a good business climate and team building. Bardonecchia not just about sport is the ideal place to organize business meetings. Designed in 1913 by a famous liberty architect, Carlo Angelo Ceresa, the “Palazzo delle Feste” in Bardonecchia was sponsored by some citizen who would have a multipurpose center to organize events and show. After many restyling of the original project, the last one was in 1996 by ing. Guido Barba Navaretti, who preserved the outside style but gave a modern and functional style inside. Now the Palazzo delle Feste is owned by the City and is managed by public offices, Assessorati al Turismo Cultura e Sport, with a rich calendar of events, concerts and shows. Palazzo delle Feste has many different rooms: Viglione, multipurpose Giolitti, Foyer, Meeting. has a capacity of 450, it is a theatre with prestigious coatings, a stage 10×14, a mobile screen and translation positions. The ideal location for every type of event, from convention to show or cinema. The exit is on the bright foyer of 300 mq, which can be used as an additional location. has a capacity of 200 and a stage of m. 6×4, with a control room and all the technical services. The seats are removable and the room can be transformed into an open space, suitable for catering, gala dinners and corporate productions. The removable walls enable you to divide the room into three rooms 116, 43 and 35 seats, each with all modern fittings. 300 mq, with spectacular windows overlooking the mountains, can be used for a multiplicity of uses. In the summer season can be extended by connecting the large terrace. with mountain views, has a room suitable for meetings from 2 to 30 people, show for 50 people, team building or work groups. You can also use this room as a cinema.